In 1999, Congress designated May as National Military Appreciation Month, and 2018 marks the nineteenth year of the national tradition of honoring members of our Armed Forces. We want to show our appreciation for the United States Marine Corps for their bravery and courage, as well as their training and ability to keep us safe and free. Marines are the first service members to get the call when someone needs rescuing. They are the first to secure an area, and they choose to join the Marines, knowing all of this. Of all branches of the military, Marines decide to join the Corps knowing they would be joining the elite, but also knowing they would be heading straight into the most dangerous of situations. In 1999, Senator John McCain introduced legislation for May to become our National Military Appreciation Month. The Senate and House of Representatives also put forth resolutions, asking for an official month for Americans to honor U.S. Service Members each year. Congress requested that the President of the United States issue his or her proclamation to United States citizens, asking them to observe Military Appreciation Month. 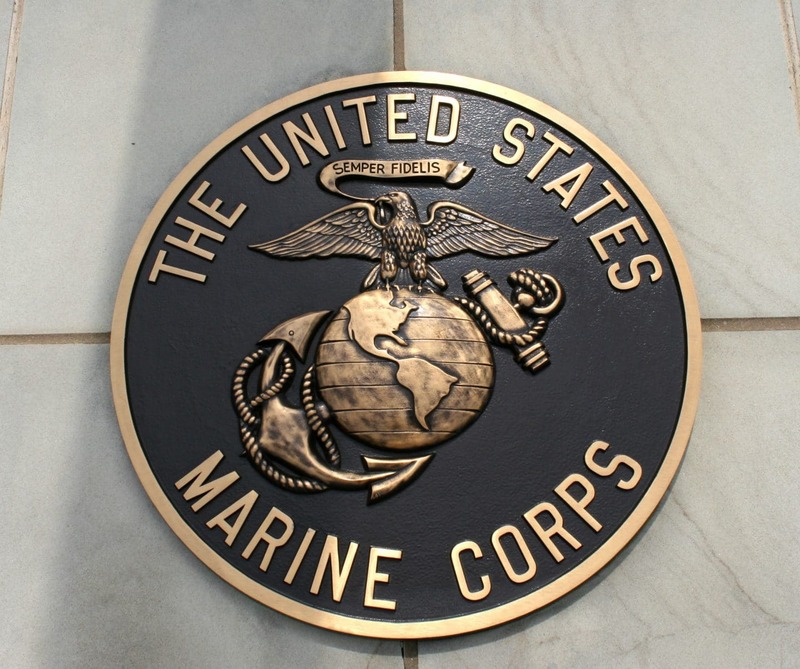 The United States Marines are one of the five military branches and have over 200,000 members, both active and reserve. Working with the U.S. Navy, the Marine Corps is responsible for amphibious operations. That means that Navy ships deliver the Marines close to their target, and then the Marines make their way to the mark, moving forward with their attack. What Do the Marine Corps Do? The primary function of the United States Marine Corps is to seize or defend advanced naval bases as well as other land operations necessary to support naval campaigns and to work with the Army and Air Force to develop technique, tactics, and equipment for amphibious landing forces. They are also prepared at all times to carry out any and all duties as set forth by our President and the Department of Defense. Marines operate radar equipment, survey and map territory, gather intelligence, repair computers, radios, jeeps, aircraft, and tanks among other challenging jobs that they are qualified to do, and they usually perform these duties in dangerous conditions. How Do the U.S. Marine Corps Operate? The Marine Corp can trace its beginnings back to the American Revolutionary War when Congress formed the Continental Marines in 1775. Captain Samuel Nicholas raised two battalions of Marines at the behest of Congress. After the end of the Revolutionary War, in 1783, the Marines were disbanded and not resurrected until 1798, as the United States prepared for war with France. 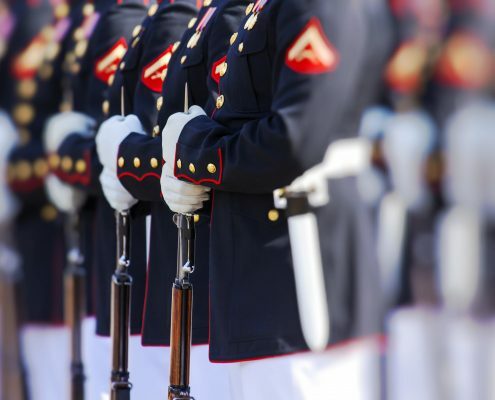 At that time, Congress officially created the United States Marine Corps. Since then, Marines have been a dominant part of our Armed Forces. In 1805, pirates were attacking American merchant ships near the Barbary Coast. President Jefferson sent a group of Marines abroad to fight against the pirates and to protect the vessels. The Marines, led by Lieutenant Presley O’Bannon, marched over 600 miles across the desert to storm the city of Derna, Tripoli where the held USS Philadelphia crew was after being kidnapped. Not only did the Marines retrieve the captured crew, but they also helped secure trading in that area. The Ottoman Empire viceroy, Prince Hamet, presented the Mameluke sword to First lieutenant O’Bannon, making it the oldest ceremonial weapon still being used by the U.S. Armed Forces today. How Can We Show Our Appreciation for the Marine Corps? 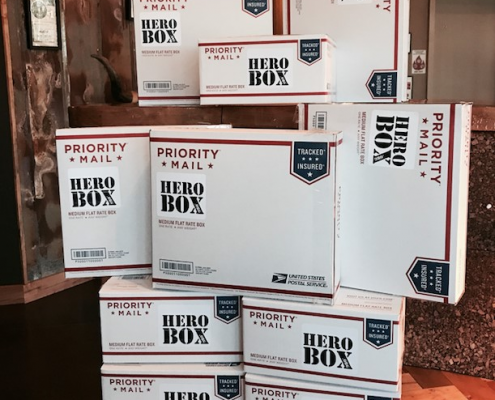 During National Military Appreciation Month, as well as every other month of the year, you can show your appreciation by telling the Marines you meet, “Thank You.” You can also send care packages to those overseas using HeroBox, Operation Gratitude, or Support Our Troops. 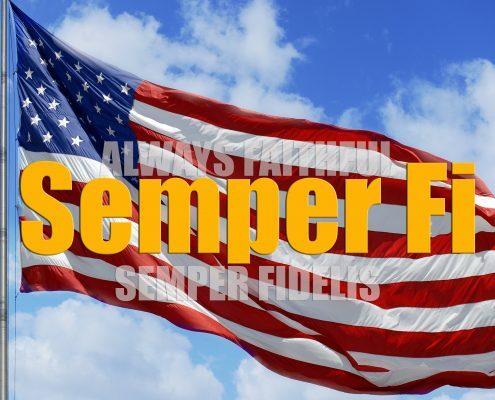 You can send needed items, or donate to one of the organizations, who then purchase the necessary items and send them to war zones where Marines need them most. You can also volunteer for these organizations and help pack items, or create donation events to raise awareness. Other ways to raise awareness is to talk with your local schools and communities to plan an event for local Marines in your neighborhood. If you know of students at your child’s school whose parent is currently fighting overseas, reach out to their other parent or caretaker to help in any way you can. You can pick up their kids after school, drop them off at school in the morning, or even offer to mow the yard. Having a loved one fighting abroad is bad enough as it is, but being a single parent at the same time adds to the stress level military spouses, and families, have to endure in the name of freedom. They sacrifice so that we don’t have to. 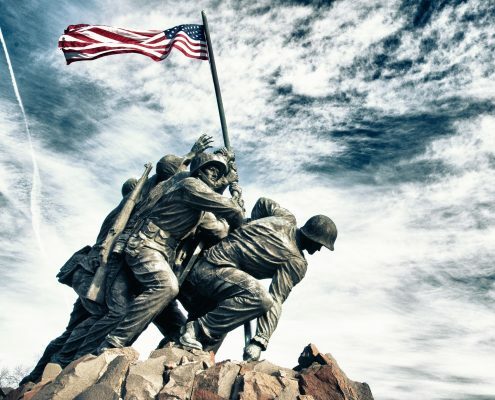 Homes for Heroes wants to thank every Marine out there fighting to keep our country safe, whether you are stationed throughout the United States or fighting overseas. You are an essential part of our military, and your dedicated service honors us. Thank you for all that you do for our country.